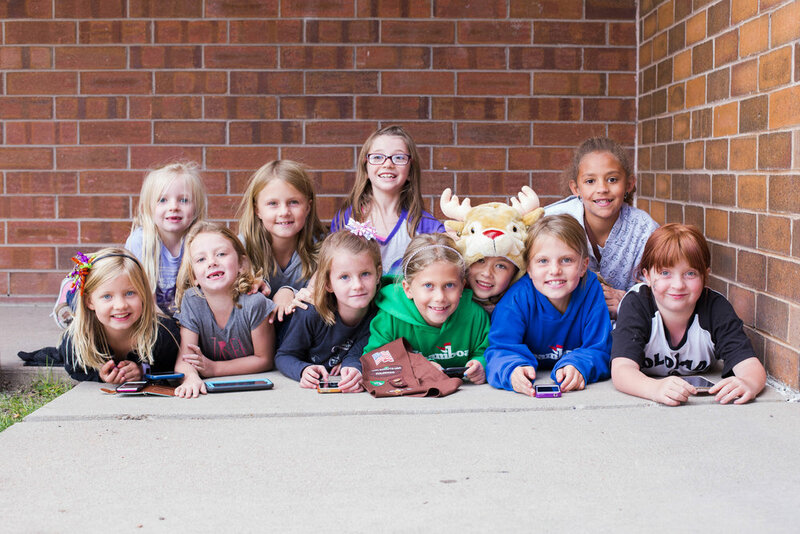 Girl Scout Brownies Earn Photo Badge with KSP! Hello everyone! We had so much fun with Girl Scout Brownie Troop 1608 earlier this fall. We taught them some intro to photography tips to help them earn their Photography Badge. To start, we asked the Brownies to run around the school and take photos of things they thought were interesting. Then, after looking at what they had photographed, we talked to the girls about the different kinds of photography they liked. They covered just about everything, from nature, pet, sport, architecture…to portrait photography, which is our specialty. 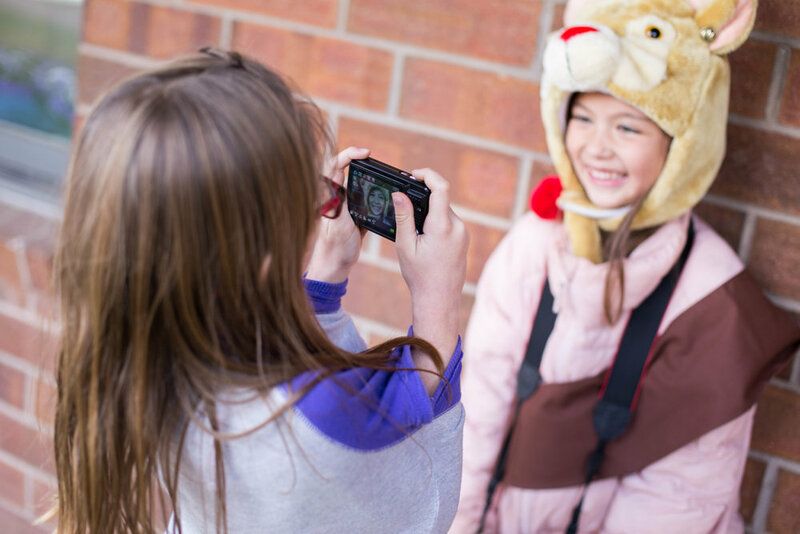 We LOVE the joy they created when taking their own photos of each other! Then, we discussed words like CURIOSITY and UNIQUENESS and PERSPECTIVE. We showed them that, in photography, as well as in their everyday lives, if they apply these three traits, it will make their photos incredibly special. We came up with the acronym of C.U.P. so they could easily remember those words when taking photos…or studying in school or creating new projects. To keep that curiosity they had as small babies, to remember that they ARE so beautifully unique, and that their perspective counts. It’s what makes them, and in turn, their photography, so remarkable! Below are some of our behind the scene photos that KSP took while the girls explored the area, taking some really amazing photos! To explain how to take a portrait, we photographed each of the girls and then showed them their beautiful pictures. Focusing on their eyes and to reveal their personality! Cannot be combined with any other offers/discounts. For immediate family up to 10 people. Digital files can be purchased separately with print and/or photo products. No minimum purchase required. 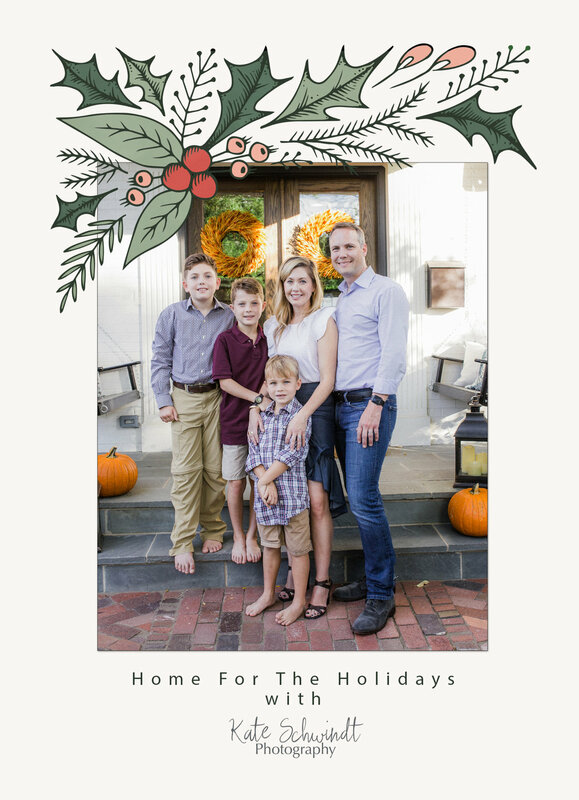 Why “Home” for the holidays? We have found that the end of the year is often so busy for our families, that having US come to THEM takes the stress off. This allows them to enjoy their photos so much more! 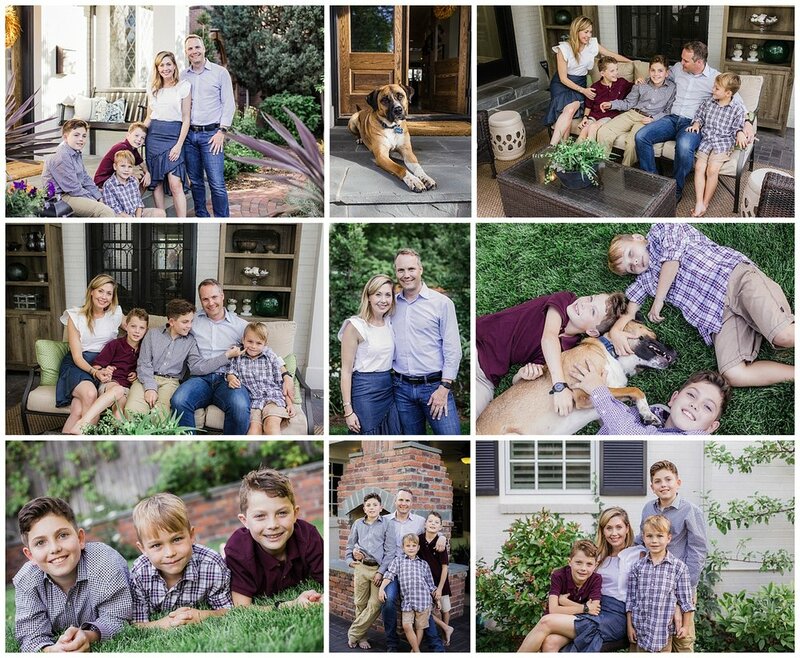 Also, we can take your family photos in a way that captures your family in their element. More formal photos can be mixed in with some candids, featuring your family’s relationships and personalities. It’s a win win! Call us today to schedule: 303.801.8419! 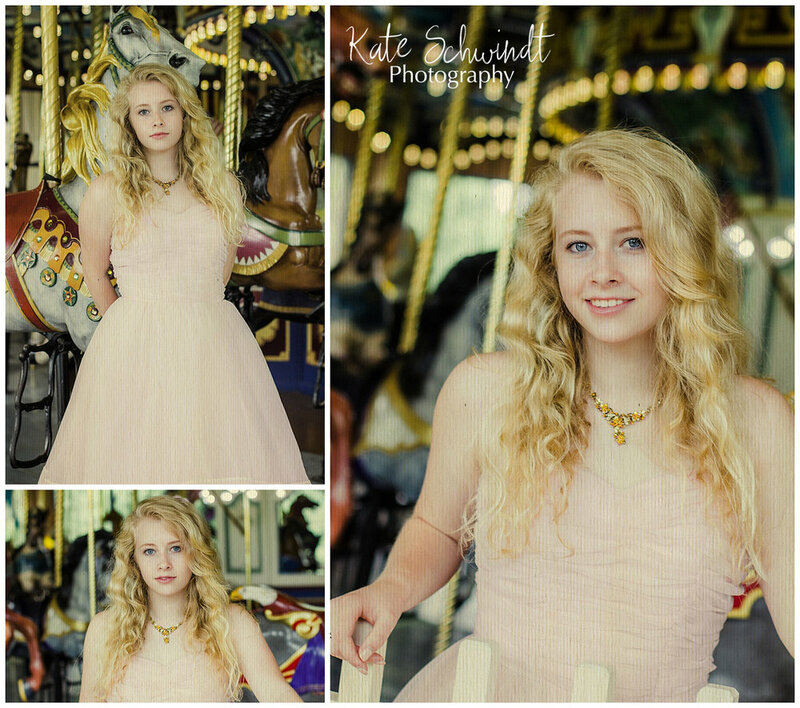 We are gearing up for something exciting next Spring here at Kate Schwindt Photography. It's a year round program called, Perspectives, and it's for high school students of all ages. We combine uniquely styled photo sessions, mentoring time and social events to create a program that focuses on the whole person, not just who we see in front of the camera. Earlier this year, for our annual KSP photo project, we brought in high school girls and photographed them with NO MAKEUP. Then we pampered them with professional makeup by Sydni Williams of Swept Away Styling and super cute clothes from a local boutique, Susan Loves William. 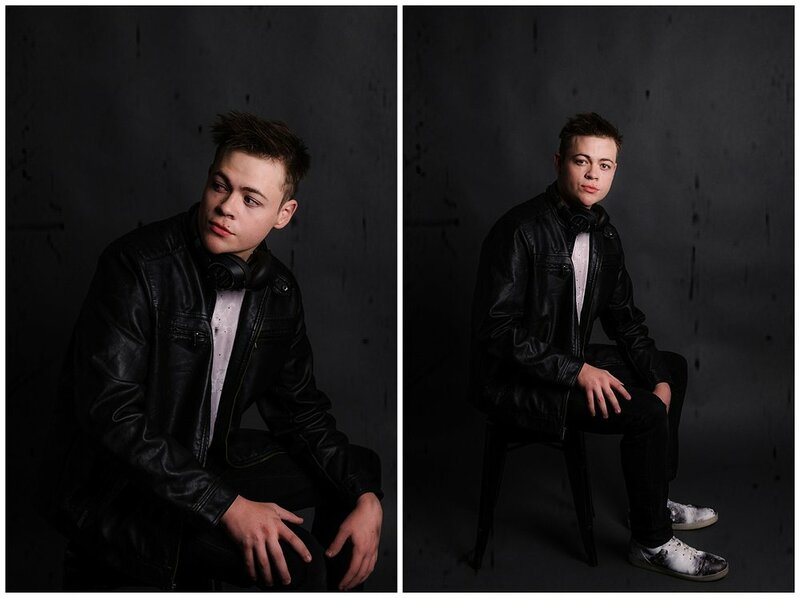 Then, we took some simple yet beautiful photos of them again. Later, we put together the photos and showed the girls the different images. Our hope is that they didn't see the photos as a BEFORE and AFTER, but that it showed them their natural beauty with no makeup and also made them feel special and seen through the entire experience. We were inspired to do more with that photo project, and that's why we created this high school program Perspectives, to do even more for young adults in our community. We want to provide an opportunity for high school students of all ages to see themselves from more than one perspective...with styled photo sessions that reflect who they are or to help build their confidence, to one on one coffee mentor sessions and socials that provide them with the opportunity to give back, connect and celebrate or just have more friends to lean on. And we can't wait. So, this year, we are working with current clients to create photos that capture emotion and create a story that they want to tell. First up, we have Justin, who we've known for several years now. 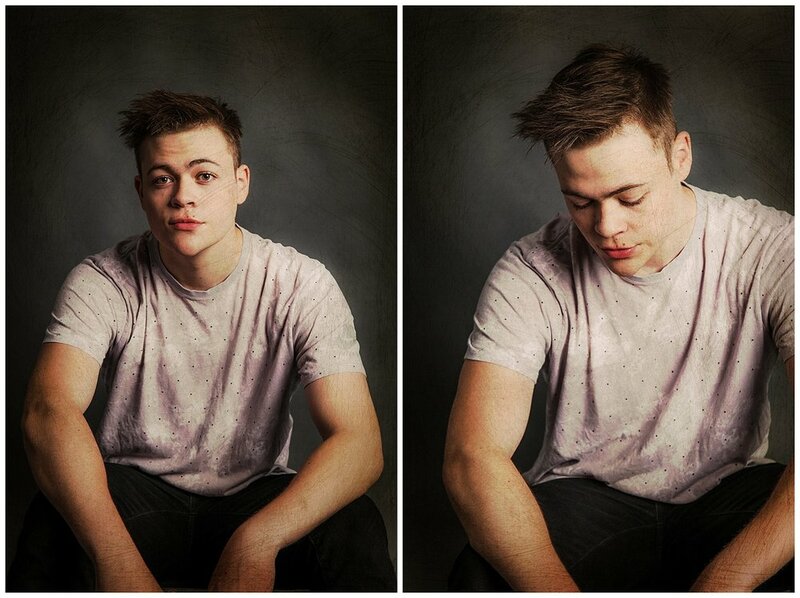 He came to us for acting headshots, and we asked if we could create some photos that reflect the amazing musician that he is. Fortunately, he was all for it! There is something powerful about a photo that reveals part of who you are. Deeply. From the inside out. 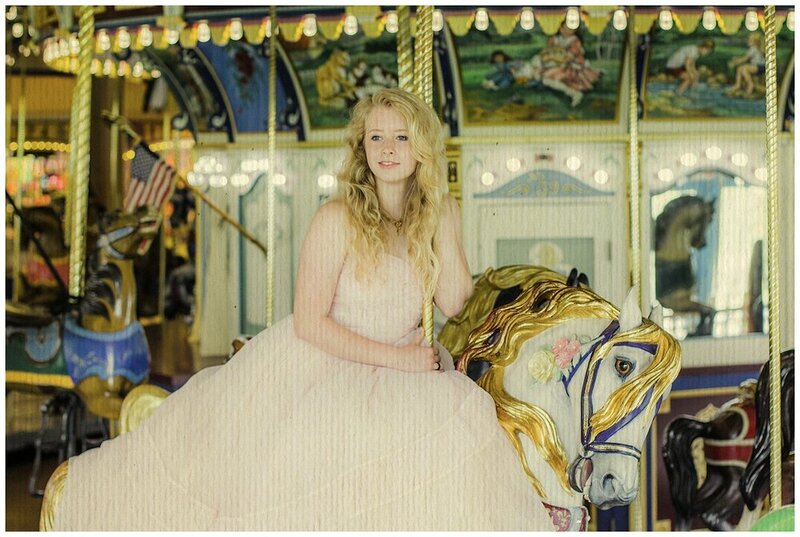 That is what we want these styled photo sessions to do for our local high school students. And, for them to have fun...to be creative and show a very unique side of themselves. 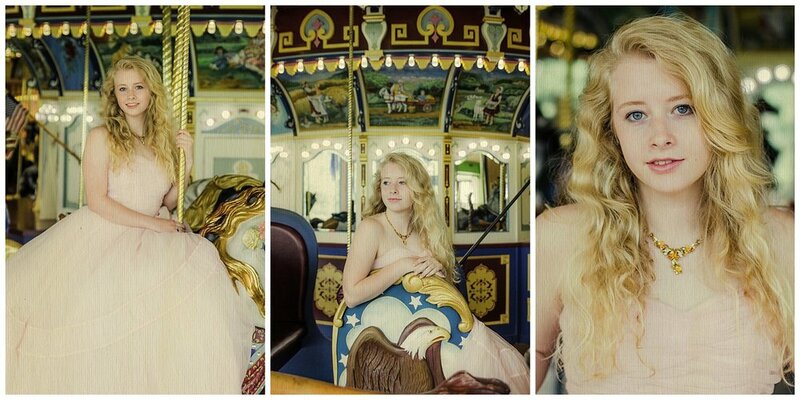 For our next styled session, we combined this girls love of vintage prom dresses with a beautiful carousel location. All day Paige kept saying how cool this was...and she was beaming with huge goofy smiles in between takes. When she saw the finished product she said she felt so pretty. What girl doesn't want to feel that way? Lastly, we partnered with this amazing girl, Regan, who we have known since she was in 6th grade. She immediately knew she wanted her session to channel the darling and exquisite, Audrey Hepburn. For those who know Regan, know her love of theatre and her amazing talent. A true triple threat, who is as hilarious as she is heartwarming. A classical, strong and witty actress. These photos showed us a stunning and mature young woman. We're so grateful to Justin, Paige and Regan, and for all they brought to their sessions! Keep an eye out for more styled photo sessions throughout this school year! Applications for our KSP Perspectives program will be available in the Spring of 2019!!! KSP Style Guide: Helping Create YOUR Perfect Look! We decided a long time ago to focus on relationship building here at KSP. This is how we can best provide for you and help create beautiful photos and a memorable experience. So, we got to thinking. One of the biggest questions we're asked, and for good reason, is what to wear for your senior photos. Some people feel very comfortable picking out the perfect series of outfits for their session, while others...not so much. So we went to one of the experts we partner with, Brandy Beatty from Indie & Dash (featured on our Kate's Favs page!) Brandy put together three sets of three outfits for the most popular body types...Athletic Build, Curvy and Petite. She also wrote out some tips to consider while putting together your wardrobe for your high school senior photos. All we can say is BRILLIANT! Take a look at these fashion forward ideas for the more athletic built girl. Let's break this down for the girls out there with a more athletic body type! TOP >> Draw attention to your shoulders, arms, and clavicle. Off the shoulder tops can be great as they show off your shoulders. If you prefer to downplay shoulders, go for embellished tops or v-cut necklines. Open backs are great for you when the occasion allows. Remember balance is key! If you’ve picked a oversized top, grab a skinny jean, or legging! BOTTOM >> Skirts and shorts can be worn in almost any length to show of your toned legs. Keep in mind sticking with dark colors, vertical stripes or A-lines will minimize area’s you don’t wish to emphasize. DRESSES >> Most styles work. Lean towards anything that accentuates your waistline. Any length will work for your shape. Don’t shy away from patterns. Floral, stripes and graphics will give depth and character to a silhouette. Next up are our girls with a more curvy shape. We want you to look and feel your best to bring out who you are, confident and beautiful, just as you are! Check out these stunning looks! Here are Brandy's tips for girls with curves! TOP >> Lace-up fronts will add attention to your assets without revealing too much. Pair with a Cami for more coverage. Rounded or v-neck line will also accentuate your shape. BOTTOM >> Distressed cropped denim Jeans are totally on-trend. Look for jeans or pants that have a higher waist to accentuate your waist and define your curves. Skinny jeans and leggings will elongate you as well. Wide legged pants will work if they have a tie at the waist AND keep you cool. Make sure to pair with a fitted top. DRESSES >> A-line silhouettes will pack a punch. If you’re petite, look for dresses that hit above your knee. add length by dressing in a monochromatic, dark tones. Black is classic, but don’t forget navy! If you're taller, go for a longer dress that is form fitting, nips at the waist, hugs your hips and falls loosely over the thighs. Last, but definitely not least, are our powerfully petite girls who are not to be overlooked. Take a look at these super simple yet classic styles that you can add onto and bring your personality to your wardrobe! Here are more tips for you strong and beautifully fierce petite girls! TOP >> Shirts and blouses that hit right at the hips. Make sure they’re not too long, or they’ll make your legs look smaller. V-necks or scoop neck tops help elongate your upper body. Fitted tops and jackets are your best friend. BOTTOM >> Skirts will give you the illusion of longer legs. Shorts also elongate you by featuring your legs. For jeans go for fitted low-rise in either skinny, boot-cut or straight leg cuts. DRESSES >> Accentuate your waist! Empire waists, sheaths, or shirt dresses that gather at the waist are perfect for a petite frame. Try dresses that hit a little above or at the knee and show some leg for ADDED length. SHOES >> Wedges or heels will add the illusion of length to your legs. We can't forget about hair, makeup and accessories. Sometimes, these get overlooked. For us, as your photographer, we want you to have a look that is complete, like you dressed from top to bottom and didn't just work on the middle part. For this section, we brought in a young and brilliant lady, Morgan Bates, who happens to be our Stylist Advisor here at KSP. Since Morgan is obsessed with everything having to do with fashion, and she recently graduated from high school, we thought she would be the best at offering her wisdom...which we're pretty sure you can easily apply! You can go for a simple & straight look...or, get out your wand and create a relaxed beach look with waves for days! 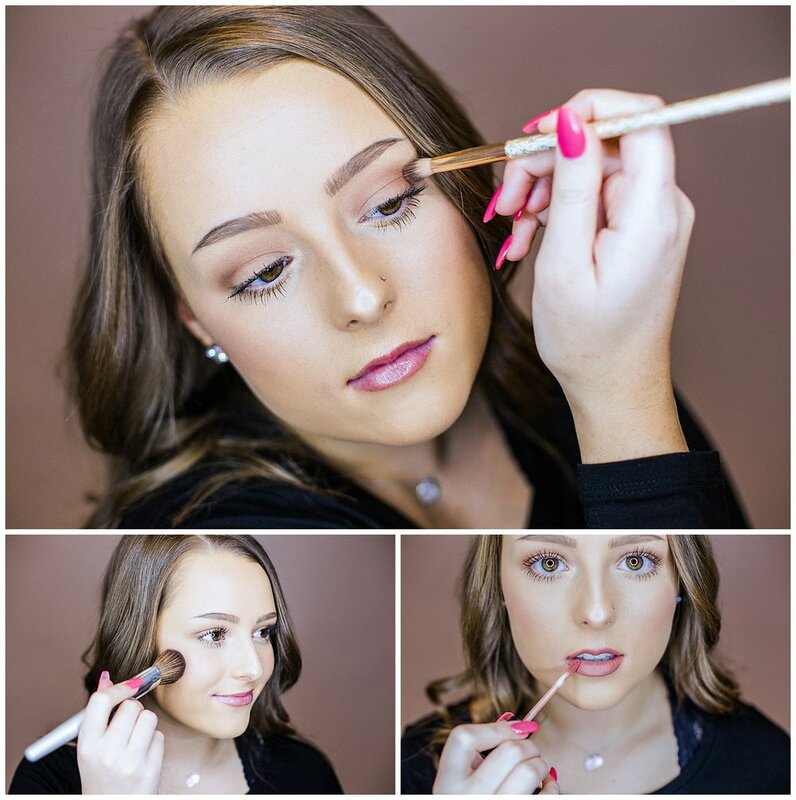 Simple makeup is best for your senior photos...your clothes bring out your personality, while your makeup should highlight your features, not overwhelm them. For your eyes, stay way from too much eye liner (thick) or too much mascara (clumpy.) Not sure what eye shadow, blush or lipstick to use? Pop on over to a reputable makeup counter and let them suggest the perfect colors for your skin tone, as everyone is uniquely different. We recommend you bring a translucent powder to your session, along with your lipstick for retouches and blotting. Let's not forget about your ACCESSORIES! We notice this is usually very last on the list of things to consider for your session. For jewelry, if you put them in a little bag, you can find your earrings, necklaces and rings much more easily. Speaking of rings...don't forget about them! If you love rings like we do, they can really add a statement or bring a simple elegance to your photos. As for nails, we have to say, we get super sad when we see chipped nails or nail polish. There is no need to get a manicure if that isn't your thing, but do come with filed and clean polish-free nails if at all possible. For the Elle Woods type of girl, manicure colors are totally up to you. Pops of color are nice, but try to keep them in the pinks and nudes category. Blood red nails are an amazing statement, and a favorite for a night out on the town, but can be a little distracting for your senior photos. And don't forget about your feet and toes. Have fun with color on your toes, but remember to lather lotion on your feet a few days leading up to your session, especially if you're going to wear sandals or be barefoot. Email us at kate@kateschwindtphoto.com to be added to our mailing list and receive a free electronic copy of this Style Guide! Cheers, and keep cool this summer! This blog was more emotional to write than I realized it would be. It features, Paige...an amazing young woman...a beautiful girl who happens to be my niece, the person who made me an aunt. I still remember the day she was born. The first time holding her. Her first trip to visit me in NYC when she was like 9 months old. So many firsts, and this is probably one of the biggest. She is graduating from high school in June and I could not be more proud of her and who she is and...well, everything. I love her with so much of my heart it literally aches with joy. So, being her aunt...and a photographer, I insisted on taking her senior photos. But, I live in Colorado and she is in Pennsylvania. There are many school on the east coast who still do senior pictures with the very classic black garment off the shoulders and a gentle tilt of the head. That photo goes in the yearbook. The same goes for Paige who is a senior at Central Bucks East High School. But, our photos we did together last summer, styled to fit her to a T, are the photos we all will cherish for many many years. Normally, I meet with my seniors and their parents for an in-person consultation where we get to know each other a little bit more, and talk about their style, what locations will fit who they are...talk clothes, shoes, you name it. But, since I'm in Colorado, and she is in Pennsylvania, Paige and I brainstormed over the phone leading up to her photo session. I knew her love of all things Marvel, super heroes and music...and that she had about a million t-shirts with said heroes and musicians plastered on them. So I suggested wearing a variety of her favorites with different jeans. Mix in a location that's super special to her...having spent a week almost every summer at the beach in New Jersey, well, that made it an easy decision. Her first location, would be in Ocean City, New Jersey...or what we fondly call, the shore. The wind was not in our favor so we couldn't actually take pictures ON the beach, but we made do with the elements...even adding in some true boardwalk staples with our favorite Manco & Manco Pizza in the background. If you look closely, you can see a little bird even made it into her photos! I am pretty sure I embarrassed her and made her feel special, in equal parts, when I plopped down on the boardwalk on my stomach to get some of these photos. Now, I loved the t-shirts but I always suggest my seniors mix it up with something dressy or a little more "formal." My East Coast Girl is all about vintage dresses for prom, but we found this simple flowery dress she had worn to a dance and bam, that was it! Perfection! For the last part of her photo session we just kept it super simple and took her pictures in the backyard of the house she grew up in. 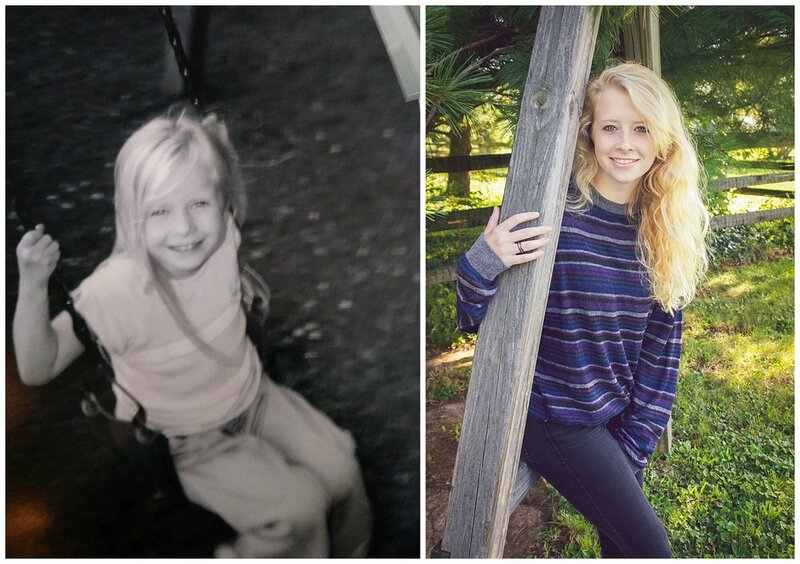 We used random logs, patches of grass, even her childhood swing set. Combining her history with who she is now...that is something I love to do for all of my seniors, but it was particularly special photographing her there. I had spent many afternoons with her in the backyard taking her picture as she was growing up. Photo on the left is from the summer of 2005 or 2006. All this to say, I'm going to be home for Paige's graduation in June and I have a select few spots left for photos, either in Bucks or Montgomery County...or even at the beach in Ocean City, New Jersey. I realize that most of your schools don't allow these types of photos in the yearbook, or they say you have to have the black off the shoulder garment...and you think, why pay for senior photos twice? 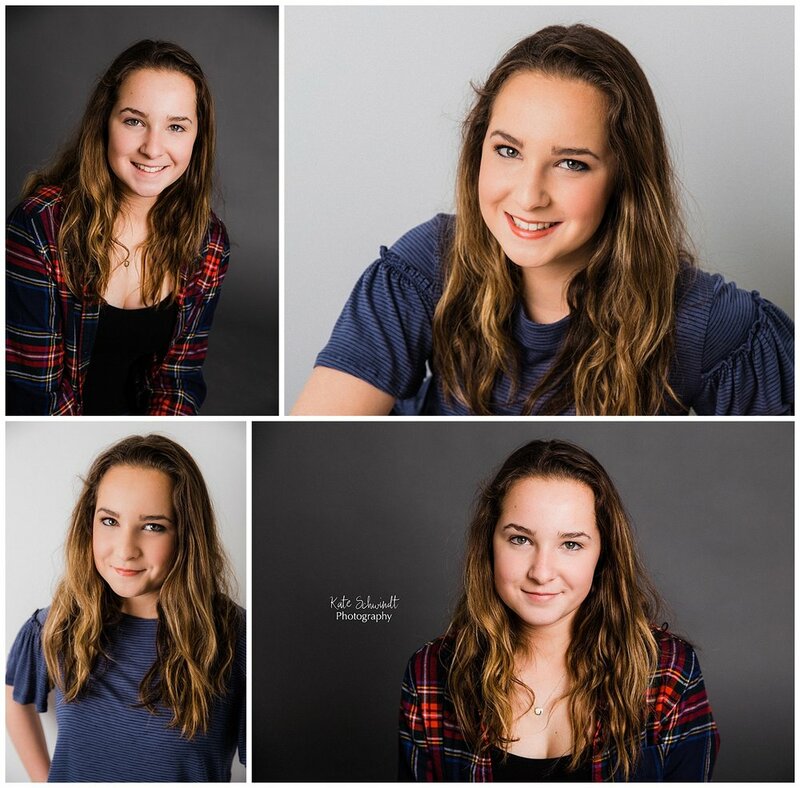 Well, it doesn't hurt to ask them if you can just get a yearbook photo taken by whomever you need to, and then we can take your senior's photos together, styled the way YOU want. Can you imagine how much more you will cherish a photo session like this? And the memories you'll make taking photos that are styled to fit your high school student...I just know you will love it! Call today to book...303.801.8419. That's a lot. The struggles they face every day are so overwhelming, teens often say that is the biggest emotional challenge they face...feeling overwhelmed. But today was about making these girls feel special, seen, recognized for who they are. So, we took a series of photos of each girl with no makeup on...to show her natural beauty. It was difficult for some of them for sure, would YOU want your photo taken without makeup? Yet, we felt it was very important to show them how truly beautiful they are, just as they are, without all the makeup other things that cover up their true selves. Then, we had each girl get pampered with a little makeup, by the amazing Sydni Williams (970.390.8748) and dressed in boutique clothing that Susan Loves William donated for the day! These were not "before and after" pictures. These were taken to show them...perspective. And to help them feel spoiled for just a few moments out of their busy week. How amazing are these young women?!! Here are the rest of the photos from our project, Perspectives. We are so grateful to all of the young women who participated in this year's photo session. We hope for many more opportunities to recognize these girls for all their beauty, strength and bravery. A special thank you to Lindsay at Fairytale Floral for donating these beautiful flower crowns. And a huge thank you to makeup artist, Sydni Williams, and Susan Hackett from Susan Loves William, for all you did to make these girls feel special! Next time, we'll be blogging on our East Coast adventures with the beautiful girl I get to call my niece, Paige!